Download "Oppression and Resistance: American Slavery in the 19 th Century"
1 Oppression and Resistance: American Slavery in the 19 th Century Unit Description: In this unit students learn about the conditions of American slavery and the struggles of slaves and abolitionists to end slavery in the antebellum U.S. Learning Goals: This unit is designed to teach students about the history of American slavery. 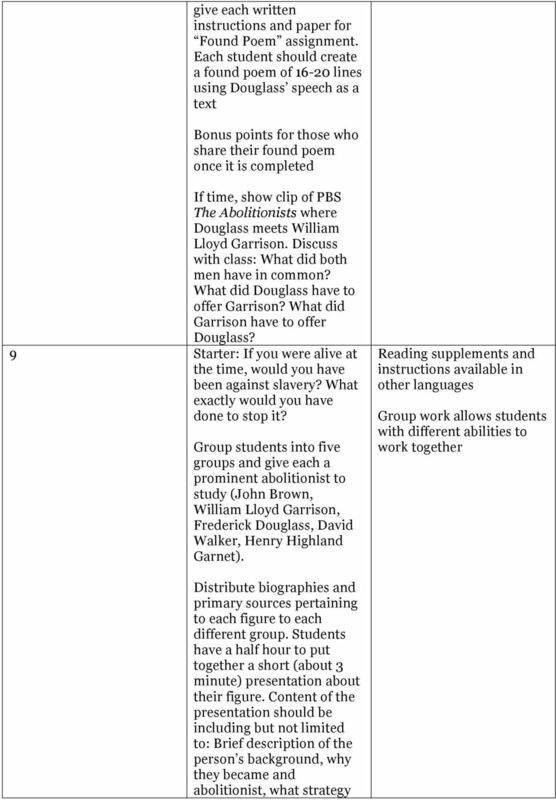 Students who participate in this unit will develop knowledge of the many ways that slave owners and traders worked to dominate their slaves and the many ways that slaves and activists tried to resist the powerful and terrible institution of slavery. They will also be developing academic skills by analyzing different forms of text, working collaboratively, presenting for their peers, thinking metacognitively and having a historical debate. Essential Question(s): How did slave owners try to dominate their slaves? How did slaves resist? How did abolitionists work to end slavery? What challenges and dilemmas did they face? What kinds of challenges and dilemmas effect activists who are trying to make social change? 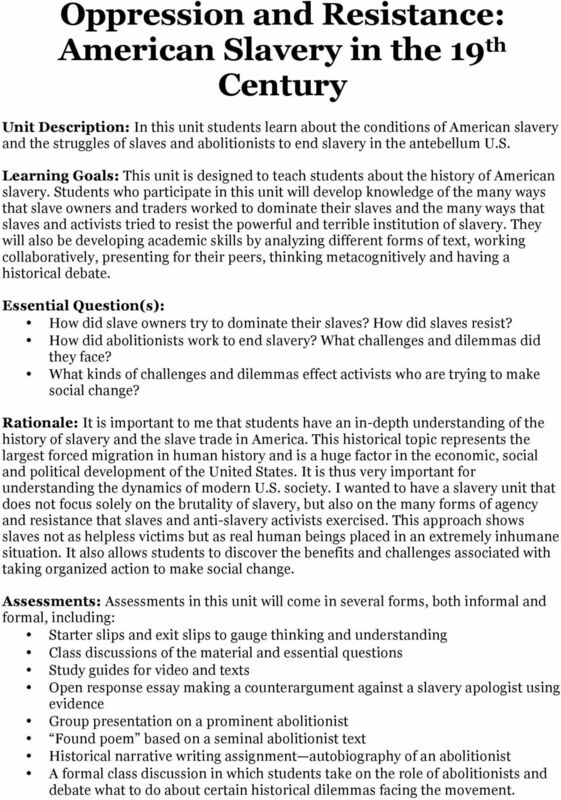 Rationale: It is important to me that students have an in-depth understanding of the history of slavery and the slave trade in America. This historical topic represents the largest forced migration in human history and is a huge factor in the economic, social and political development of the United States. It is thus very important for understanding the dynamics of modern U.S. society. I wanted to have a slavery unit that does not focus solely on the brutality of slavery, but also on the many forms of agency and resistance that slaves and anti-slavery activists exercised. This approach shows slaves not as helpless victims but as real human beings placed in an extremely inhumane situation. It also allows students to discover the benefits and challenges associated with taking organized action to make social change. Assessments: Assessments in this unit will come in several forms, both informal and formal, including: Starter slips and exit slips to gauge thinking and understanding Class discussions of the material and essential questions Study guides for video and texts Open response essay making a counterargument against a slavery apologist using evidence Group presentation on a prominent abolitionist Found poem based on a seminal abolitionist text Historical narrative writing assignment autobiography of an abolitionist A formal class discussion in which students take on the role of abolitionists and debate what to do about certain historical dilemmas facing the movement. 2 For all assessments, clear written and verbal instruction is provided. 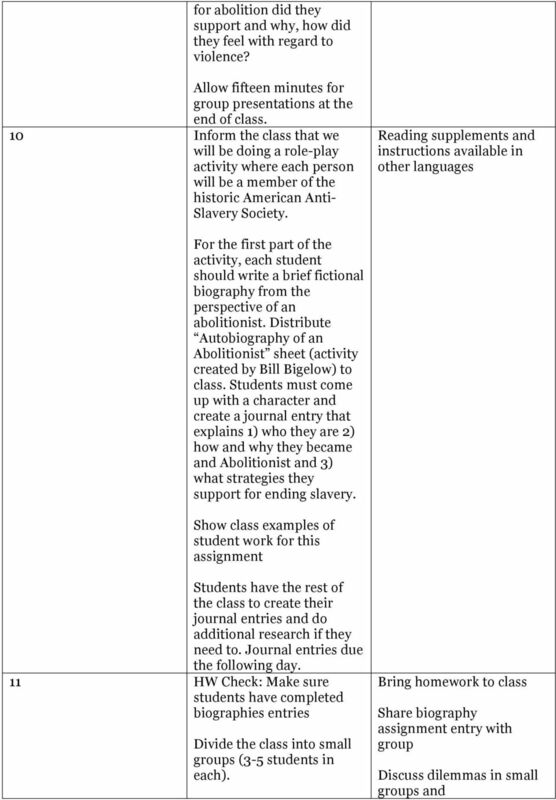 The unit is planned in such a way that each formal assessment is scaffolded through guided reading of key texts, group work, a rich visual environment, and an assortment of graphic organizer tools. 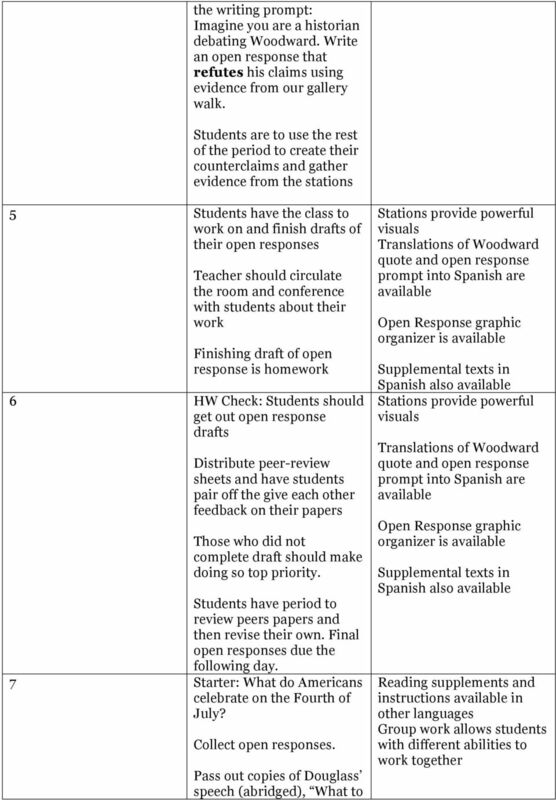 These measures help students produce the best work possible. 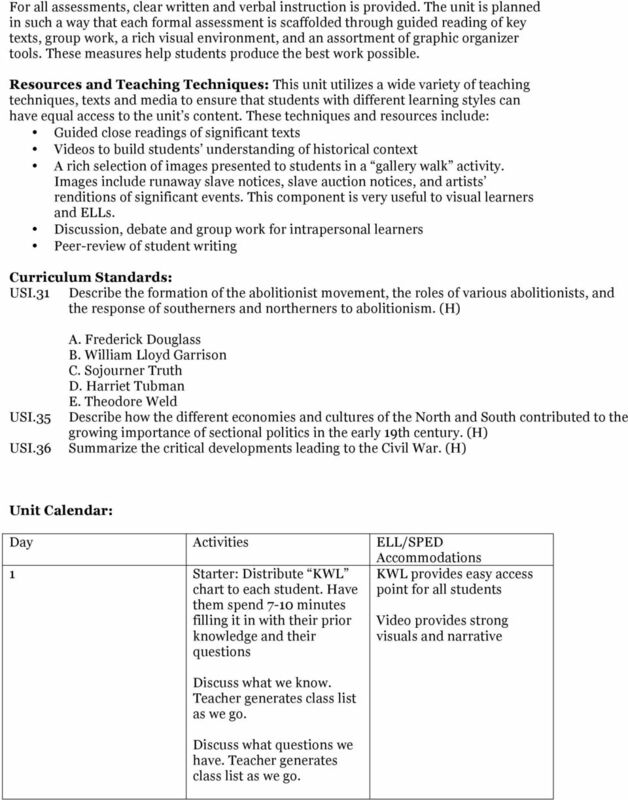 Resources and Teaching Techniques: This unit utilizes a wide variety of teaching techniques, texts and media to ensure that students with different learning styles can have equal access to the unit s content. These techniques and resources include: Guided close readings of significant texts Videos to build students understanding of historical context A rich selection of images presented to students in a gallery walk activity. Images include runaway slave notices, slave auction notices, and artists renditions of significant events. This component is very useful to visual learners and ELLs. 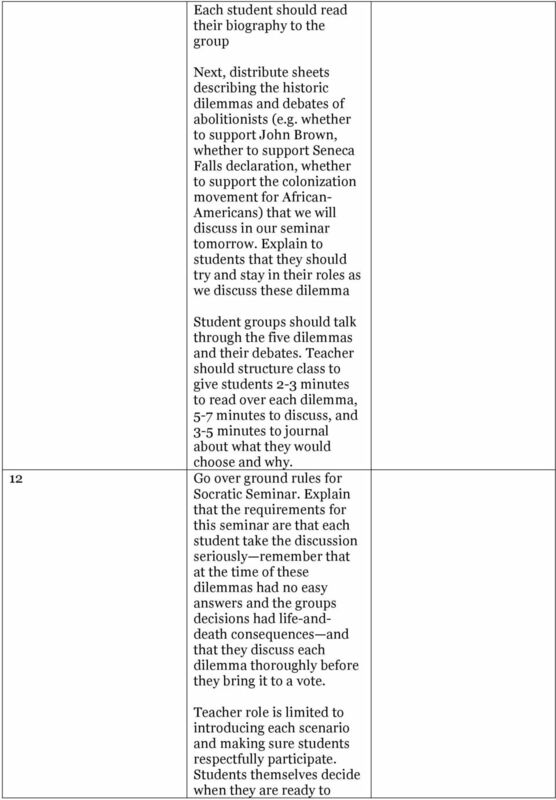 Discussion, debate and group work for intrapersonal learners Peer-review of student writing Curriculum Standards: USI.31 Describe the formation of the abolitionist movement, the roles of various abolitionists, and the response of southerners and northerners to abolitionism. (H) USI.35 USI.36 A. Frederick Douglass B. William Lloyd Garrison C. Sojourner Truth D. Harriet Tubman E. Theodore Weld Describe how the different economies and cultures of the North and South contributed to the growing importance of sectional politics in the early 19th century. (H) Summarize the critical developments leading to the Civil War. 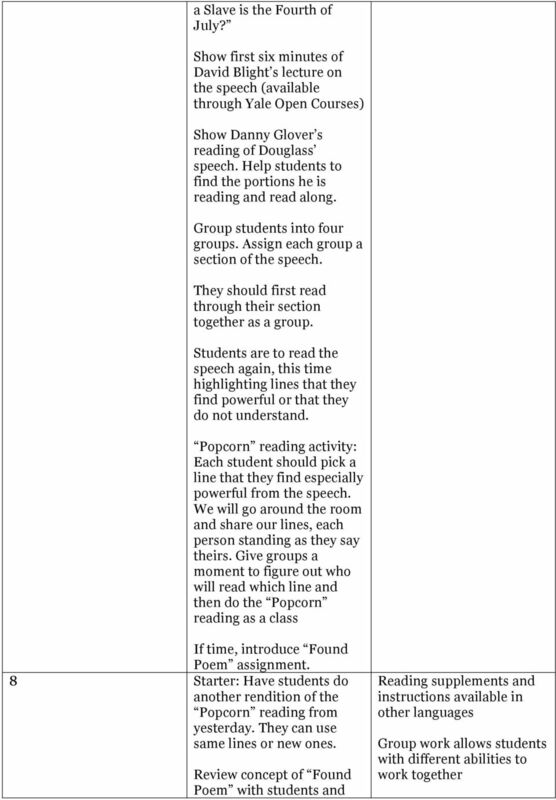 (H) Unit Calendar: Day Activities ELL/SPED Accommodations 1 Starter: Distribute KWL chart to each student. Have them spend 7-10 minutes filling it in with their prior knowledge and their questions KWL provides easy access point for all students Video provides strong visuals and narrative Discuss what we know. Teacher generates class list as we go. Discuss what questions we have. Teacher generates class list as we go. 10 bring each issue to a vote. HOW DOES EXECUTIVE FUNCTION IMPACT YOUR GIFTED AND/OR TWICE EXCEPTIONAL CHILD? 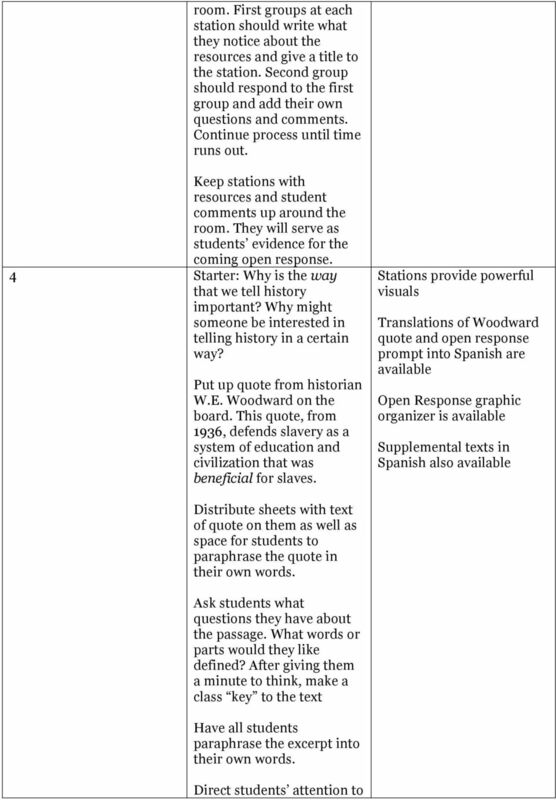 Essay Writing Mapping for Success for middle and high school students Written by Nicole Welding and Donna Herold 1 Dear Educator: The stakes have risen for students to demonstrate competence in writing. HIST200 - Introduction to the Discipline of History SAMPLE SYLLABUS MWF 1:00-1:50 p.m. Professor Amanda López, Ph.D.
**AFTER the new course is approved, a separate proposal must be sent to the General Education Committee. Lesson Plan for Using Uwannadu in College and Career Exploration Teacher: School: Subject: Career/College Exploration Students will engage in: Date: Block: Semester:! activities " Cooperative learning! CURRICULUM VITA. Dissertation: "Runaway Slaves in North Carolina, 1775 to 1835"
TEEL 670, Workshop in Education II: CONTEMPORARY AMERICAN EDUCATION (Graduate Version) drdaniel@wildblue.net drdonnausa@gmail.com. Phone: 719.587.